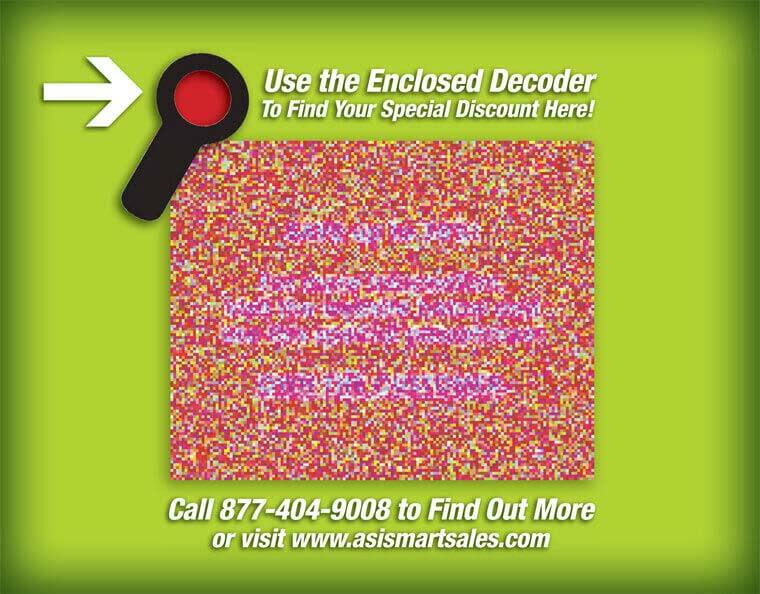 Decoder Glasses | Secret Reveal Promotions | Rainbow Symphony — Rainbow Symphony, Inc.
Special decoder glasses are perfect for sweepstakes, prize giveaways, and contests to help customers decode secret messages in your advertisements and punch up your promotions. When it’s time for your next promotion, opt for our Secret Reveal Decoder Glasses at Rainbow Symphony! Special decoder glasses are perfect for sweepstakes, prize giveaways, and contests. Use these glasses to help customers decode secret messages in your advertisements and punch up your promotions with a little bit of extra fun! When setting up your print campaign, giving potential customers something they can take home always works in your favor. With glasses from Rainbow Symphony, you can send out fun games with decoder glasses that potential customers get to keep! Rainbow Symphony offers specialty options when it comes to the price and format for print advertisements. After choosing the bind-in option, decide whether you want to bind-in, blow-in, or insert your decoder game and glasses into a postcard, newspaper, magazine, or other print publication. To make your fun games and secret messages truly unique, Rainbow Symphony’s art department ensures full customization. Whether you want to add color images and custom frames or detachable coupons and game instructions, Rainbow Symphony can help. Order your decoder glasses today and discover a new way to advertise! Explore our Secret Reveal Postcards, Greets, and Bind-Ins to get ideas for your next promotion and shop with Rainbow Symphony today! Take a look at how companies like Adidas, Geico, Marriott, GAP, and Toys ‘R Us used our decoder glasses in their print advertisements!